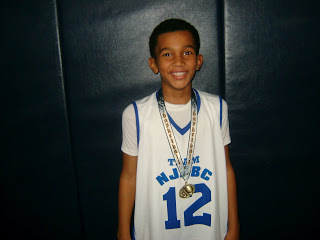 Jalen Gaffney of Columbus, NJ will be bringing his game to the East Coast Super Skillcase. Gaffney earned Basketball Spotlight 5th Grade Player of the Year honors after leading ECE-NJABC to several championships and a Top 10 finish at the AAU Nationals. The sixth grader seems to be very excited about playing in this event, “I train with Micah whenever he’s in NJ. Every time I train with him he has something new to improve my game. I can’t wait to see what he has up his sleeve at the Super Skillcase. This should be a lot of fun for me and my We R One teammates” said Gaffney. Stay tuned as we bring more top players committed to this exclusive event.